The Seattle Intalift Independent Rise & Recline Chair is a new style chair in which all the chair mechanisms are hidden from view. Free UK delivery. The Seattle Intalift Independant Rise & Recline Chair is a new style chair combines a classic armchair design with the latest patented technology. All the chair mechanisms are hidden from view, this makes the chair more attractive and a stylish choice for any home. The Seattle riser recliner is Restwell's top of the range chair. It has three independent motors; this means that you can operate and move the leg rest independently of the backrest thus helping you find your most comfortable sitting position. This chairs unique three motor system also provides a longer life span, increases reliability and the motor cutout function prevents the motor from burning out. This is also a great feature for those who need to elevate their legs for circulation or pressure relief reasons. It includes an excellent 5-button handset control. 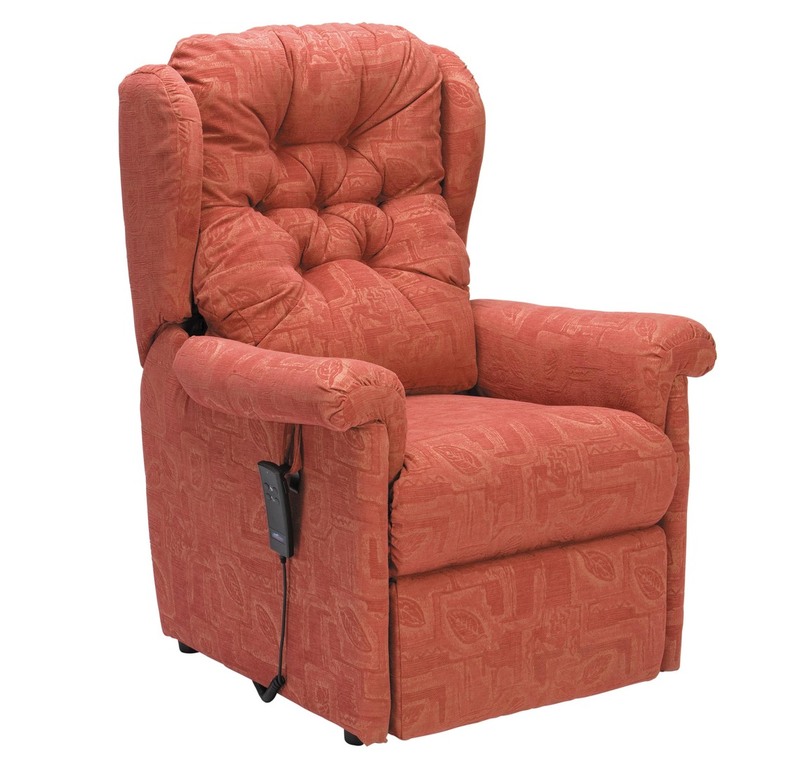 This beautifully designed chair contains several new features and is now one of the best electric rise and recline armchair ranges on the market. Available in four stunning fabric colour options; Green, Teracotta & Cream.